A terror plot against Jewish targets was thwarted when the Mossad intelligence service passed information to Argentinian security officials which led to the arrest of suspected members of the Hezbollah terrorist group, Hadashot TV reported Monday. According to the report, police arrested two brothers and their cousin at a hideout in Buenos Aires which was found to contain an arsenal of weapons and explosives. The suspects were said to have admitted they planned to attack Jewish targets in the country. Argentinian police announced Thursday they had arrested two Argentinian men on suspicion of ties to the terrorist group and that in the course of the investigation, they had discovered evidence of foreign travel “along with credentials in Arabic and an image of the Hezbollah flag,” the Reuters news agency reported. No further details were given on the credentials or travel, and the discrepancy in the number of individuals arrested has not been clarified. The two men, aged 23 and 25, were arrested at a Buenos Aires residence, and were also found to be in possession of a “small arsenal” including a rifle, a shotgun and a number of handguns. A Hezbollah suicide bomber carried out the 1994 attack on the AMIA Jewish center in Buenos Aires. The attack, orchestrated by Iran, killed 85. 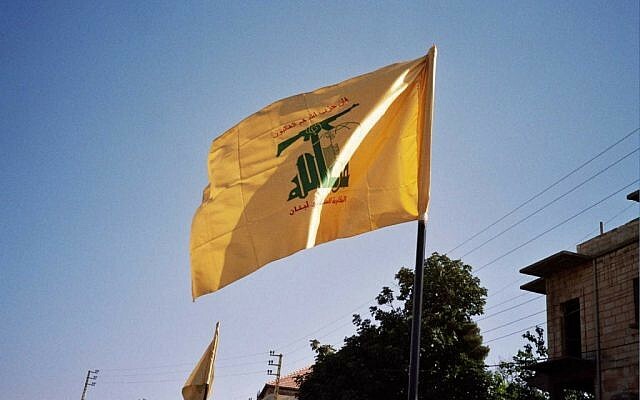 Earlier this year the Argentine government targeted a Hezbollah fundraising network in the northern Triple Frontier with Brazil and Paraguay. Israeli officials have repeatedly stated that the Mossad not only is responsible for preventing attacks against Israeli targets, but also provides intelligence to Israel’s allies around the world. In October, Israeli officials said the Mossad provided its Danish counterpart with information concerning an alleged plot by Tehran to assassinate three Iranian opposition figures living in the Scandinavian country. Mossad is also said to be behind the thwarting of an Iranian government bomb plot that aimed to target an opposition group in Paris in June. This entry was posted on November 20, 2018 at 5:36 AM and is filed under Counter-terrorism intelligence, Iran - world's worst sponsor of terrorism. You can subscribe via RSS 2.0 feed to this post's comments. US sanctions, no matter how painful they are, will not deter mullahs’ terrorism, adventurism, and proliferation of WMD. The regime is based on an apocalyptic ideology which doesnt conform to Trump’s or any other western leader’s realpolitik, strategy, rationalism, and conventional wisdom. A suicidal entity cannot be deterred, unless destroyed before harming others.